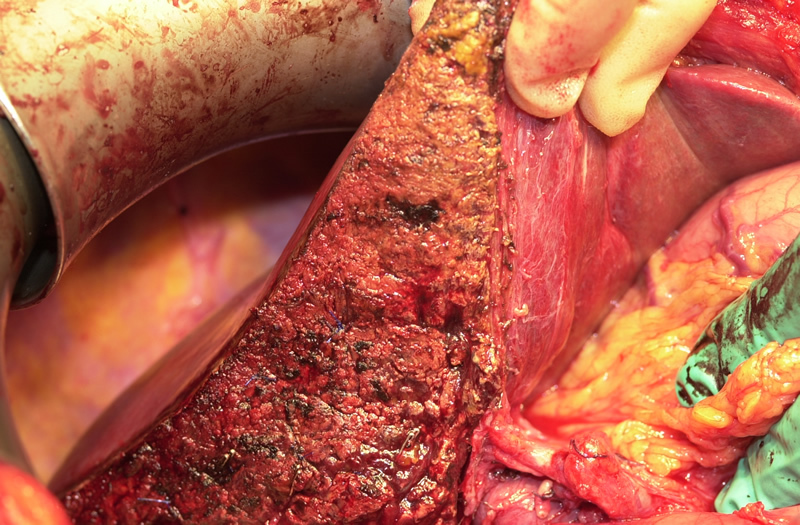 The objective of these pages, examples and images is to show that both segmental and major hepatic resection may be accomplished with minimal blood loss and certainly without transfusion in most situations. 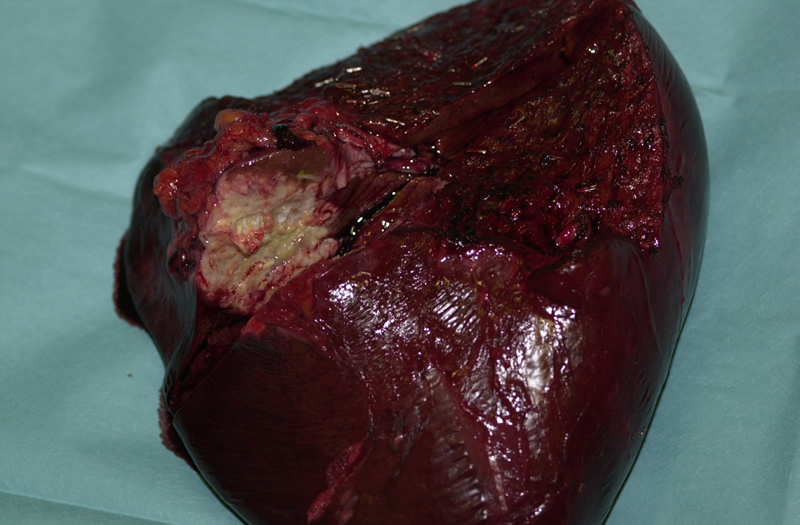 The patient had a cancer of the sigmoid colon removed and at the time of operation was noted to have a secondary tumour in segment 4 of the liver. 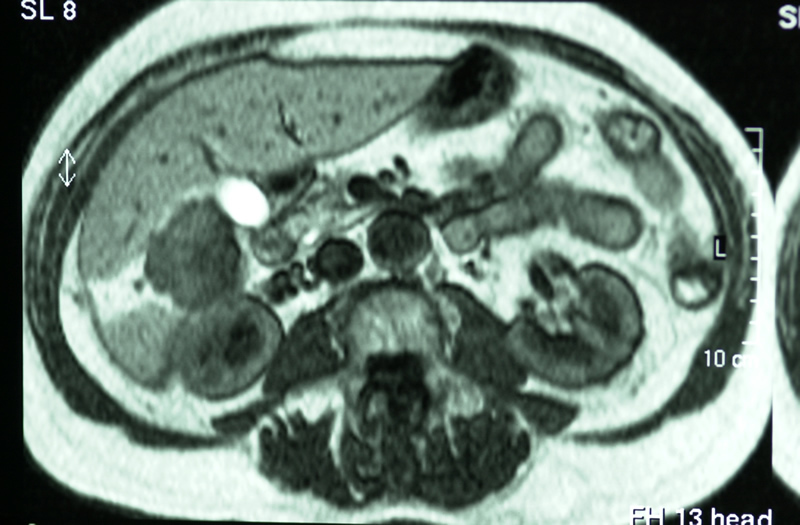 1 - This is an MRI scan showing a solitary secondary deposit located in segment 4 of the liver. Following large bowel surgery the liver tumour was properly staged and 3 months later she was referred for a liver resection. 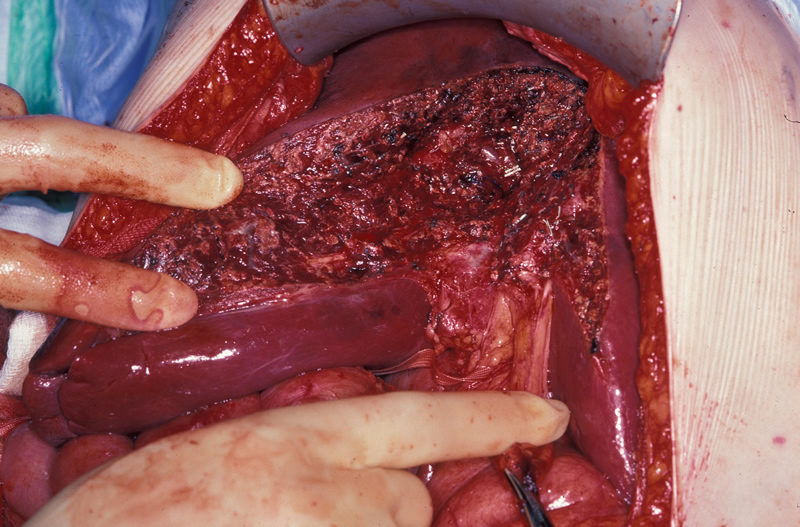 2 - Shows a bloodless excision of segment 4 of the liver. 3 - Shows the operative specimen with a tumour nodule in the middle, fully excised with 11mm clearance at the closest point. This patient had a primary colon cancer removed 2 years previously. On follow up CT scanning she was found to have a large tumour in the right liver. 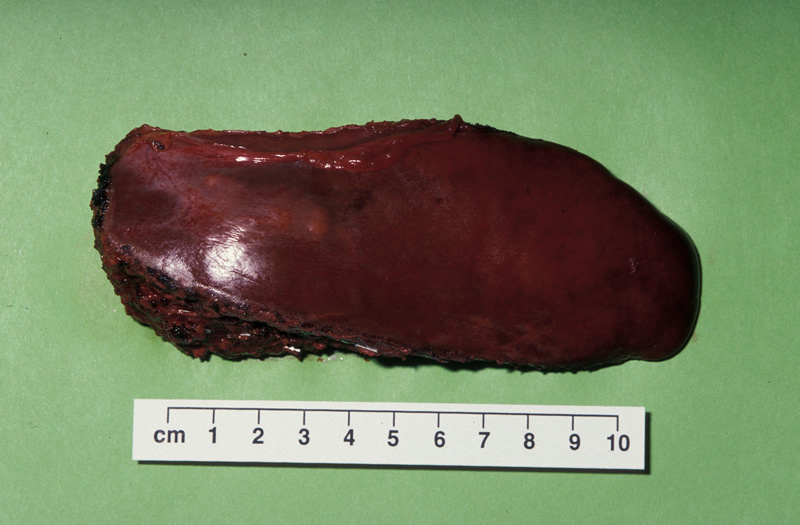 This was removed by a right hemi-hepatectomy following which she was discharged 8 days later. 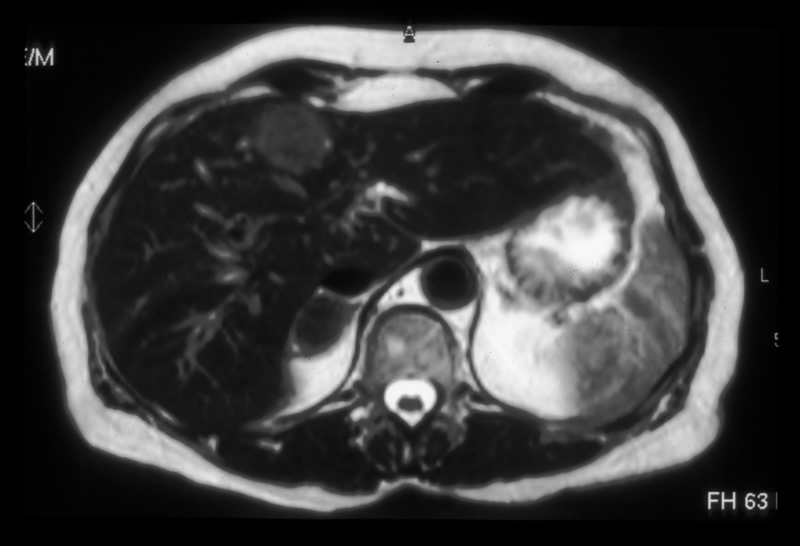 1 - An MRI scan showing a secondary deposit in the right liver. 2 - Figures 2B and 2C show the operative specimen after sectioning to ascertain the operative margins.